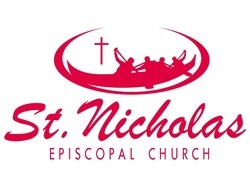 St. Nicholas Episcopal Church welcomes all. Everyone is invited to participate in the life and ministry at our church. We believe God’s love and the inclusion that Christ taught while among us is best realized when the church includes everyone. Worshiping God is very important to us. Our church uses ancient texts and prayers. We believe that these prayers and sacraments (like baptism and communion) shape us, and our belief. While we honor the traditions, we also aim to contemporize it. Our hope is to create worship that is meaningful for those who gather at both our Sunday services. Serving others is also important to our church. We have several ministries that reach out to the community. Support a local food pantry and regularly participate in other events. Serving together unites us in our call. We have active ministries for children and youth as well. The children enjoy a lively Sunday School, as well as a great playground. We hope you’ll join us this weekend. Perhaps you’ll even join us on the Journey. © 2014 St. Nicholas Episcopal Church O'ahu. All Rights Reserved.